Why stay stuck in traffic when you can use alternative transport? If everybody starts to think differently about personal transport, we could have a big impact. Give your car a break for one day and get moving in different ways. Whether you use your car to get to work, run errands, do shopping or take the kids to school on World Car Free Day, you’re encouraged to leave the car and explore other ways of doing what you were going to do with your car. The idea is to reduce the amount of cars on the roads and at the same time foster approaches to transport that can be adopted on a more permanent basis. Our cars are major emitters of carbon monoxide – a dangerous greenhouse gas, that is harmful to inhale. Everybody is aware of the dangers of pollution to our environment but every day we get into our cars and make the situation worse. If everybody contributes to this event by getting out of our cars and find ways to reduce the amount of cars on our road and in doing that contribute to a greener feature. On this day take a train, catch a bus, get on your bicycle, carpool or walk instead. For those that have the ability to work from home that also counts. 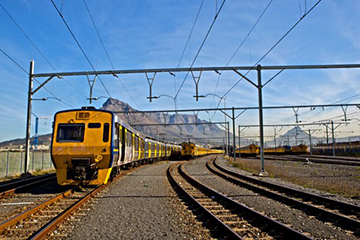 The railway system in Cape Town is mainly focused on commuter transport to main areas along several train lines.There are trains to the southern suburbs, Cape Flats, northern suburbs, Malmesbury, Worcester as well as a central line. View the Metro rail map here or visit Metrorail’s website for more information. You have extra free time for yourself. You can prepare for work in a relaxed way. Cape Town has two bus services. Golden Arrow bus service has extensive routes throughout all major areas of the city. MyCITI forms part of Cape Town’s Integrated Rapid Transit (IRT) system. 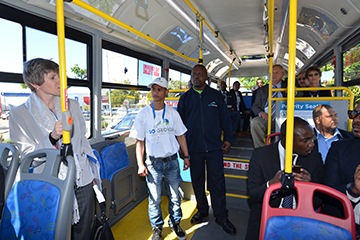 The MyCITI service has dedicated lanes is various parts of the Cape Town dramatically improving travelling time. More routes are being added throughout the City. For bike friendly information visit the navigating the city by bicycle website. A carpool is when 2 or more commuters share a ride in 1 of their own vehicles. The best carpooling arrangements are very flexible. In fact, you don’t need to carpool every day, just as often as your schedule allows. This gives you the freedom to plan errands or appointments on days when you aren’t carpooling. By sharing the costs of driving with others you can save money. Reduce stress. Read, listen to music, or relax when you're not driving. Prolong the life of your vehicle by rotating who drives. It reduces traffic on key roads. You can try the carpool Apps uGoMyWay or try findalift. 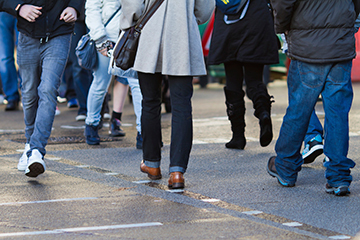 Walking is a healthy alternative to driving and if you’re able to walk to work or run errands it can have several benefits. Keeps you fit and healthy. .
You could reduce your risk of chronic conditions. The fresh air will help energise you and improve your oxygen intake. Commuting by motorbike will save you time and help reduce congestion on the roads caused by too many cars.It also has other benefits like cutting emissions that benefits our environment.